Given the subject of Day of Wrath, I felt it appropriate to start a daily posting of quotes form the Qur'an and the Hadiths. Hadiths are “teachings.” They are similar in nature to the latter books of our New Testament, which, after the four Gospels, are reflections and teachings about the life of Christ and the meaning of His message. Hadiths were written by contemporaries of Muhammad and by “scholars” who came afterward. Many come from decisions and pronouncements by Muhammad to his followers which were not included in the Qur'an and cover a wide range of subjects, ranging from explanations of what is stated in the Qur'an, to decisions about daily life, many of which are the foundations for Sharia Law. I shall make no commentary on what will be posted here on a near daily basis. 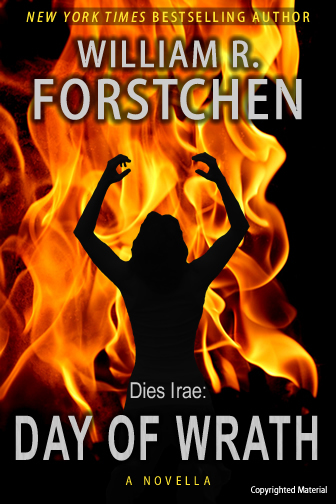 But I think you know my perspective if you have read Day of Wrath. During the early days of World War II, the famed movie director Frank Capra was tasked by our government with making “propaganda films” to explain to civilians and tothe millions going into military service what the war was about and why we had to fight, with the goal of nothing less than total victory. Capra, born in Italy, became a naturalized American citizen in 1920 and was fiercely proud of that citizenship. His love for America stands out clear in such works as “Mr. Smith Goes to Washington,” and “It’s a Wonderful Life.” He rebelled against the idea of making “propaganda” films and instead saw that presenting the unvarnished truth, by using the propaganda films of our enemies, was the best way to show whom we were fighting and why we had to fight. He therefore created the famed “Why We Fight” series. The model he set is why I feel that simply posting quotes from the Qur'an and especially, the Hadiths, is appropriate. I leave to you the decision of how to interpret them. Best site for hadiths about war, women, and dogs.